Enjoy an enchanting tea party benefiting the Maple Youth Ballet Junior Company! 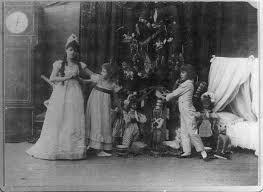 Nutcracker was not a rip-roaring success at its premiere in St. Petersburg, Russia in 1892. The art critic Konstantin Skalkovsky wrote in 1899, “Generally speaking, The Nutcracker was staged mainly for children; for the dancers it contains very little; for art — exactly nothing. Even its music was rather weak. As the dance writer Anatole Chujoy pointed out later on, the Nutcracker ballet remained in the Russian repertory for over 37 years! However, even today, audiences in Russia as well as in Europe are less excited than their American counterparts about The Nutcracker. So why do Americans love this ballet? The Nutcracker fits into a made-to-order tradition concocted by a country too young to have many traditions of its own. The first full production of The Nutcracker in the U.S. was presented in 1944 by the San Francisco Ballet when ballet was still struggling to gain a foothold in our American culture. Since then, The Nutcracker has become not only the most popular ballet, but one of the most performed ballets in the world. Ironically, there are dark psychological undertones to the original E. T. A. Hoffmann fairy tale on which the Nutcracker ballet is based. These nuances are rarely brought to the surface in most Nutcracker ballets. What unfolds on stage is the American ideal of a happy and stable family in the style of a Norman Rockwell painting. The famous choreographer, George Balanchine, followed this story closely and was able to capture the American ideal. But not everyone followed the original Nutcracker story. Nutcracker productions have even been set in Harlem! Balanchine’s Nutcracker production was first performed in February (not December) in 1954 at New York’s City Center. Its setting is at the cozy, middle-class home of the Stahlbaum family in the late 19th century. Hints of darkness emerge in the character of Herr Drosselmeyer, the mysterious guest whose gift of a nutcracker sets the story in motion. But the overall mood is one of loving harmony, which is a scene that pervades most other American Nutcracker productions, no matter how much they diverge from the literary details of the original Nutcracker story. Perhaps The Nutcracker endures because it conjures cozy holiday memories, the perfect Christmas celebration or the perfect arabesque, all frozen in time. Though The Nutcracker is a classical ballet with strong traditions to which many choreographers adhere, some choreographers have developed modern versions of this ballet. This December, the Maple Youth Ballet will present its own twist to the Nutcracker. As Maple Youth Ballet’s Artistic Director, I have created a Nutcracker production centered on Clara, a young girl who dreams of becoming a ballerina. Herr Drosselmyer is a ballet master and a magician. He presents Clara with two presents, a Nutcracker and a pair of pointe shoes. Later that night, in her dream she sees herself grown up and dancing with her Nutcracker prince in a performance at the Palace of Sweets. Interestingly enough the original production that would become the present Maple Youth Ballet was first choreographed in 1997 with a young and yet to be discovered, Misty Copeland as Clara and yours truly as the Prince and Choreographer. Misty is now a principal dancer with American Ballet Theatre and her story of dreaming and becoming a ballerina did come true. Is this like a Christmas Norman Rockwell painting? Is this still an American tradition? Absolutely! The Maple Youth Ballet’s Nutcracker production is a “ballet about ballet” and about the passion to dance. 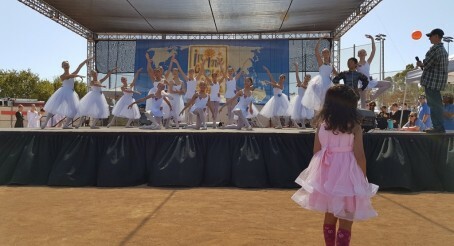 It is a message that lives in the heart, soul and the dreams of every young dancer. Be sure to follow us for the latest news, upcoming events & performance updates. Copyright © The Maple Conservatory of Dance. All rights reserved.